Worrying about how to pay off debt is common, and it’s nothing to be ashamed of. If you’re struggling monthly to pay all of your bills, you’re probably pretty stressed. And if an urgent expense pops up, it could absolutely create a good amount of anxiety, as you need to try even harder to make ends meet. There’s a solution, but you need to find it. For most people, the easiest method to manage this stress and to pay back their debt is by using consumer credit counseling. But could it be the best answer for you personally? Consumer credit counseling isn’t the best answer for all (no single debt solution is). This article was written with the purpose of helping you determine what consumer credit counseling is, exactly what a credit counseling agency does, and how it may help you to get out of debt—so you are able to decide if it’s something you intend to investigate further. Are you current on at least one credit card? Are you able to afford your present monthly payments? If so, is it possible for you to pay a little more compared to the current minimums due on each of your financial obligations? Do you have multiple accounts that each have a high interest rate? If the clear answer is “yes” to these questions, then credit counseling (with or without a debt management plan—often known as a DMP) could provide you with an easy-to-understand breakdown of your debt as well as a structured, effective method for putting that debt behind you. If the answer to at least one or even more of those questions is “no”, then credit counseling might not be the best answer for paying off your debt. It’s crucial that you understand that credit counseling, unlike debt settlement (also known as debt negotiation or debt resolution), doesn’t lessen your principal balance—you will still owe the full amount of your debt. With credit counseling, you’ll get advice on how best to manage your money, ideas and solutions that may help fix your present financial problems, and a personalized plan to assist you to budget and handle your debt effectively. A credit counselor also can help you create a payment plan on your debts that you could afford. 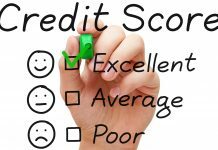 The main value of credit counseling is that it will help educate you on better financial habits to enable you to solve your debt problem now, and hopefully prevent yourself from getting back into debt again in the future. In addition, through credit counseling, you can enroll in a debt management plan (DMP), which comes at an additional cost. However, some individuals prefer this method since it lets them focus on one payment per month. A debt management plan (DMP) goes beyond credit counseling by providing you a structured program that helps you lower your debt through monthly payments. Your debt management plan is personalized for you. 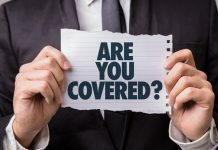 A credit counselor can look at all your enrolled debts and then work with creditors to see if they will provide you with a lowered interest rate, referred to as a “concession rate.” Then the amount of your single monthly payment to the debt management plan depends on the newest concession rate(s). Credit counseling works as a debt consolidation tool as all your enrolled debts will become combined into a single monthly payment—this makes it simpler for you to regain control of your finances. Plus, it can help you save money in interest as, moving forward, the interest rate should be lower than the combined average of your previous interest rates. Finally, by enrolling in a DMP through a credit counseling agency, it could help protect you from creditor collection actions as well as prevent you from becoming delinquent on your debts. 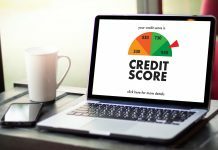 While working together with a credit counseling agency along with enrollment in a DMP won’t hurt your credit score directly, it could be noted on accounts on your own credit report that they’re being paid through a credit counseling program or DMP. Since some lenders view people enrolled in DMPs as a credit risk, it may impact your capability to open and use additional lines of credit. Some, or all, of your credit card accounts might be closed and you’ll be paying a monthly fee for credit counseling service along with paying back 100% of your debt and its accumulated interest. Realize that if you’re having difficulty making the minimum payments and aren’t confident with the fact that credit counseling may require you to pay much more monthly, then it isn’t really the best option. Finally, while credit counseling can help you pay off your debts at a lower rate, you will still be paying the whole debt amount plus interest, plus fees if you work with a DMP. That’s certainly not a downside, but you will find other debt relief solutions that will help you become debt free without having to pay the whole amount plus interest and creditor fees. 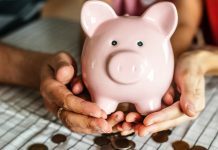 You’re putting your financial life in the credit counseling agencies hands, which means you should take as much time as necessary to concur that they have an excellent reputation. This is a major financial decision, which means you should research your options thoroughly and compare companies. Go online and research agencies that provide their services near you along with online agencies. It’s your responsibility whether you intend to work with a person you can talk to face to face or if online service fits your schedule and needs best. 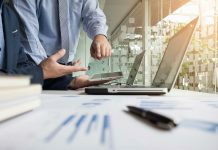 Seek advice from the Better Business Bureau to see if the agency has already warranted any complaints, and, if so, ensure that every one of the complaints have already been favorably resolved. Make sure they are licensed in your state and accredited. Accredited agencies will employ certified counselors and also have strict guidelines concerning data security and customer care. Ensure the credit counseling company offers financial education along with the debt consolidation and payment services. The goal is help you become-and to remain debt free. When you narrow your search and begin to speak with the credit counseling agencies that look good to you, remember that the first counseling session should be free. Throughout that session, the counselor will review your entire financial state of affairs with you. They’ll assist you to calculate your monthly income and expenditures, and brainstorm ways for you to earn more income and spend less. Your counselor will also review your credit card debts, their interest rates and terms, as well as your payment histories. Be aware that not all agencies with a “nonprofit” status are legitimate. This status doesn’t automatically imply that the agency’s services are cost-free, plus they may, in fact, charge high fees that aren’t immediately obvious. Be sure you ask about any extra fees or costs associated with whatever solutions they recommend which means you get yourself a clear picture of what you’re dealing with. Once you find a credit counseling agency you trust, review the written agreement carefully before you sign on the dotted line. The agreement should clearly outline the credit counseling agency information, what services they’ll be providing you (as well as what services they won’t provide for you), what’s required of you with regards to payment for service fees, plus the length of time this program will require. And if any guarantees are offered, these will be listed in detail within the contract as well. Remember, this is a partnership. A credit counselor can help you, however, you have to be sure you do your part and follow up to ensure they work hard on your behalf. When the program begins, don’t assume everything is being taken care of. Stay an active participant, and confirm together with your creditors that your payments are being received.